Toe to toe, who’s more badass? The modern tough guy, bike builder Jesse James or the original and iconic Marlon Brando? Personally, we think this is an obvious answer though in the interest of remaining impartial we’re throwing the question in your court. 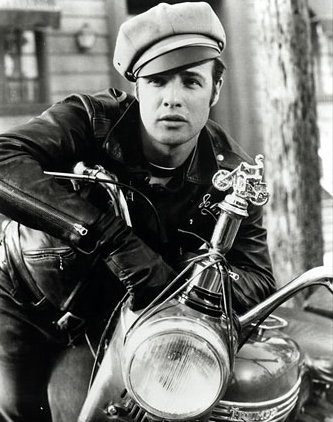 Brando, is considered to be one of the greatest and most influential actors of the 20th century and he was also an avid motorcyclist. Born out of Omaha, NE in 1924, he quickly gained a rebellious reputation after having been expelled from high school for riding his motorcycle through the corridors of the school. “Bud” as they called him cruised through the New York City streets on his Triumph Thunderbird before coming famous and once a household name stayed true to his passion by heading out into the deserts of the Southwest whenever his fame began feeling oppressive. Marlon Brando has been dead for almost a decade and earns still $9M/year. That’s bad to the bone. We’ll lead with the fact that Jesse James’ name is Jesse James. Simply awesome. An outlaw at birth simply from association. Out of Long Beach, James was raised surrounded by his father’s antiques business which was a shared space with an after market parts manufacturer for Harley Davidson’s. Clearly, the stage was set for later on in his life. 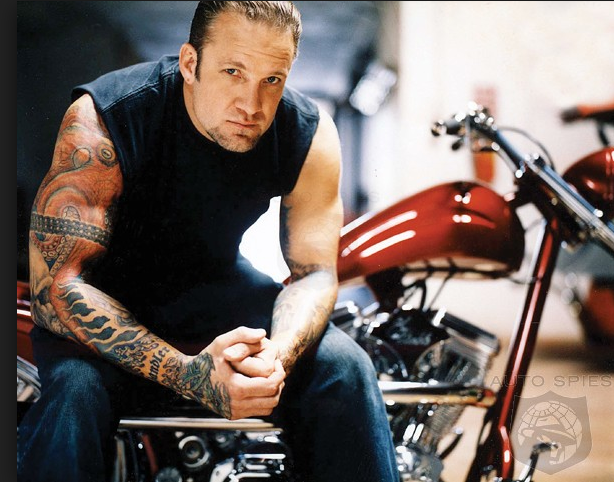 Jesse James started riding motorcycles when he was 7. When most of us were 7 we were selling lemonade – he was a bandit already. He was a college linebacker and bodyguard for Slayer, Danzig and other bands before beginning his West Coast Choppers empire. He’d go on to marry Sandra Bullock and have a child with Janine Lindemulder. His company West Coast Choppers, raised out of his mothers garage has built over 200 motorcycles and gained him international notoriety. He’s had his own network television shows and made countless appearances on other series.